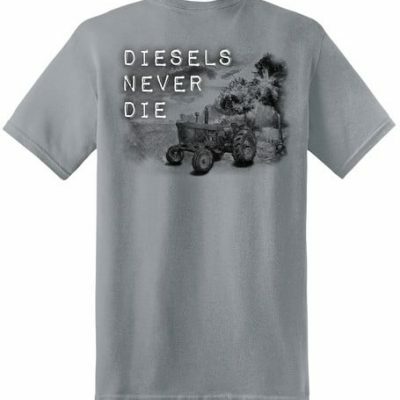 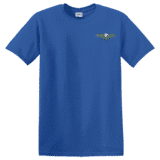 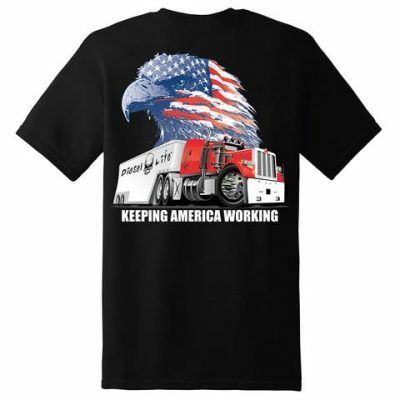 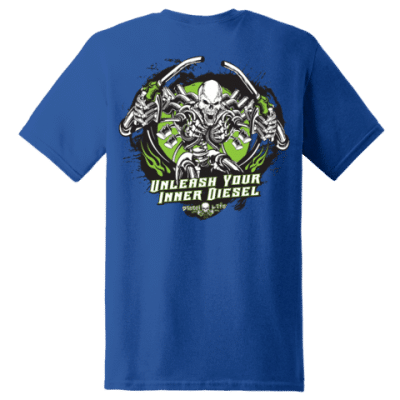 Grey Diesel Life t-shirt with neon green logo and semi truck on back. 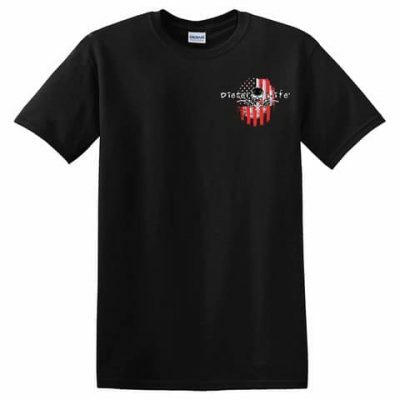 Preshrunk 100% cotton. 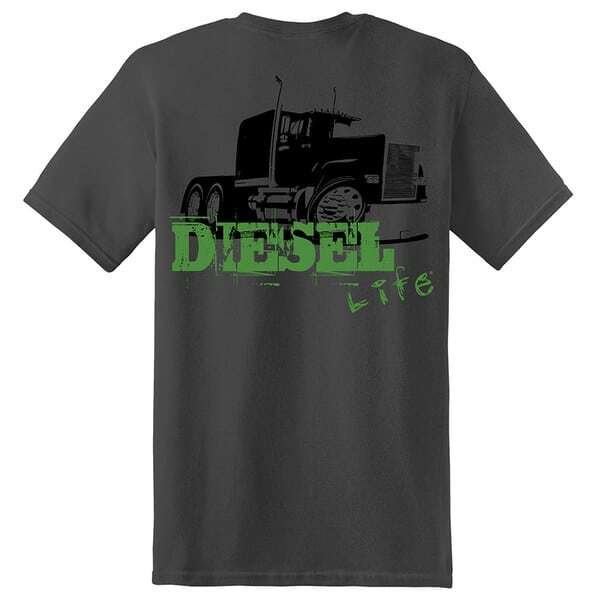 Diesel Life logo on front chest.